I love 4th of July...the BBQ food, fireworks, family, and fun. This festive and patriotic fruit salad is a cute recipe I'm going to try this year. What a cute idea...and easy to make, if you have a star cookie cutter. 1. 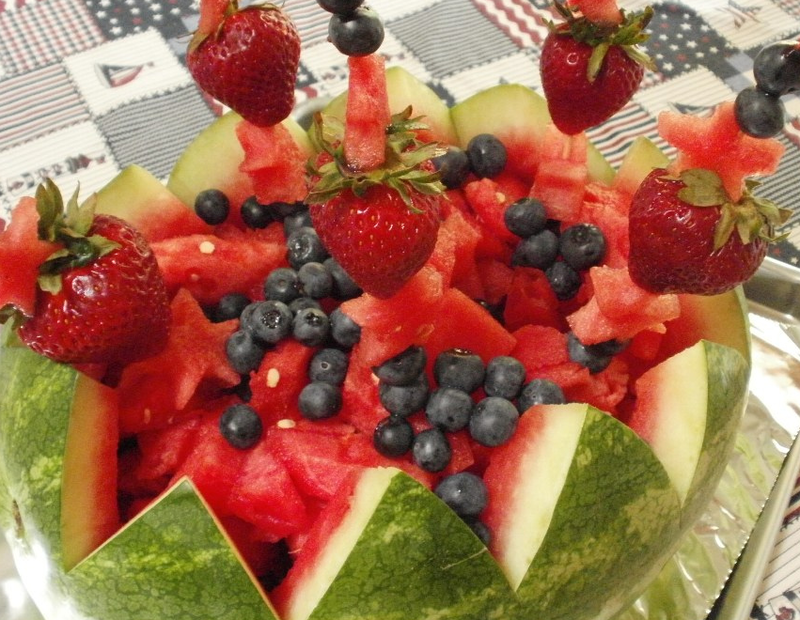 Slice watermelon in quarters, and then slice individual triangles. Use cookie cutter in the shape of a star (or knife if you are artistic) to imprint stars. UH....DUH! Why didn't I think of that?? VERY nice!